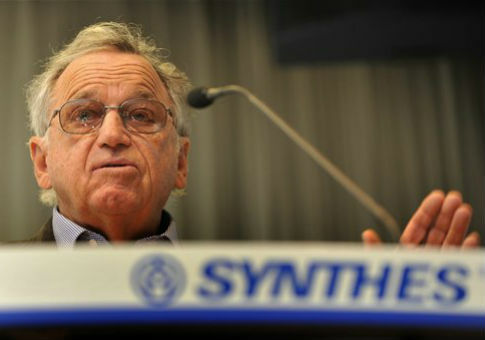 Hansjörg Wyss is accelerating a $100 million registration and get-out-the-vote plan in order to more quickly impact elections and the U.S. policy landscape, according to a document detailing the proposed work by his charitable group, the Wyss Foundation. The document details the scope of Democratic efforts to boost grassroots organizing, and sheds light on how some of the left’s deepest pockets are facilitating those efforts through nonprofit vehicles generally restricted to charitable activity. Wyss is a controversial figure. He is currently being sued in Washington state court over allegations that illegal drug tests by his former medical device company resulted in patient deaths. According to the memo, the Wyss Foundation initially planned to spend $100 million over the next five years on voter registration, outreach, organizing, and legal and policy advocacy on voting laws. But that won’t be enough, the group said. The document, titled "Wyss Foundation Democracy Strategy Discussion Memo," was saved in a Microsoft Word file suggesting it was created in March 2015. "We believe these efforts will alter the electorate, but they will not do it in time to fully achieve the Wyss policy agenda within the next ten years," the memo stated. To speed the effort, "we are proposing … to accelerate a portion of that (approximately $75 million) into an immediate five year window, and spend it on a registration and engagement surge." The bulk of that increased spending, or $50 million, would go toward the registration surge. "Given the high cost, this would have to be done in partnership with other funders," the memo notes. Another $25 million would go toward "integrated engagement and organizing" and "non-voter research and outreach." "If we don’t invest heavily in the Democracy strategies now, there is a risk that our ability to drive our issue agenda will be severely curtailed," the memo warned. "These investments lay the groundwork for robust, transformative issue campaigns." The Wyss Foundation is a 501(c)(3) charitable foundation, meaning it cannot finance explicitly political projects. But the group sees opportunities to shift the electorate in ways that advance its policy agenda under a nonpartisan banner. The foundation did not respond to questions about its funding plan and why its strategy memo ended up in the hands of the Democratic National Committee. It was one of a number of internal documents released by a hacker who claims to have breached the DNC computer network. Wyss, a Swiss citizen, has donated to numerous federal and state political campaigns despite legal bans on political contributions by foreign nationals. While the law provides exceptions for lawful permanent residents, Wyss revealed in 2014 that he does not have a U.S. green card. In addition to political campaigns, Wyss has generously supported the Clinton Foundation. The foundation’s website states the Wyss Charitable Endowment has given it between $1 million and $5 million. Wyss’ now-defunct HJW Foundation previously employed Clinton campaign chairman John Podesta, who received $87,083 from the group in 2013 for consulting services. Podesta is the founder and former chairman of the Clinton-friendly Center for American Progress. Wyss is a CAP board member and has donated more than $1 million to the group since 2011. The Wyss Foundation is also a member of the Democracy Alliance, a leading left-wing donor club that is financing efforts similar to the foundation’s work on registration and turnout operations. Those activities are carried out through a number of state-focused "funds" that pool donor resources and distribute them to DA-backed groups to maximize the money’s impact. A representative of the Wyss Foundation sits on the advisory board of one of those initiatives, the Democracy Fund, which has similar goals as the Wyss Foundation’s proposed grassroots funding efforts. This entry was posted in Issues and tagged Campaign Finance, Center for American Progress, Transparency. Bookmark the permalink.